Work is continuing to revise the industrial guidelines dedicated to FCM – food contact materials – which are expected to be circulated by the end of the year. A joint sector piece of work which, for the first time, also involves tissue. CEPI explains the steps and background of a project which aims for standardisation at EU level. A source of continuous studies and debates, food contact is still a very current topic, capable of stimulating ever increasing interest. For this reason, also, the Aticelca Congress 2018 www.aticelca.it – which annually brings together the Italian paper industry, and this year it was held on 17 and 18 May in Veneto (Italy) – dedicated a whole session to the topic. The approach to the complicated theme of materials which can be placed in contact with foods involves the whole paper mill system; in order to manufacture safe materials and products a complete organisation is indeed required. The first subject that the topic focussed on was how to align methodologies of creating and manufacturing different products by type and source; the so-called FCM (food contact materials), in fact, encompasses various products which, manufactured in different European countries, are marketed throughout the European Union and not only there. CEPI (Confederation of European Paper Industries) www.cepi.org is working on these topics in order to arrive at the definition of methodologies which can be shared and accepted in all European countries. An aspect of extreme importance for the sector, insofar as paper and cardboard are the most commonly used materials for packaging: according to Eurostat data, they have, in fact, 41.2% of the market share, of which 56% is not for food and 44% is food packaging, equal to 13.8 million tons. Furthermore, they are the most recycled packaging materials overall (figures 1 and 2). Packaging generation (EU-28, 2014). Paper and board is the leading packaging material and the most recycled – source: Eurostat 2017. Packaging generation (EU-28, 2014). 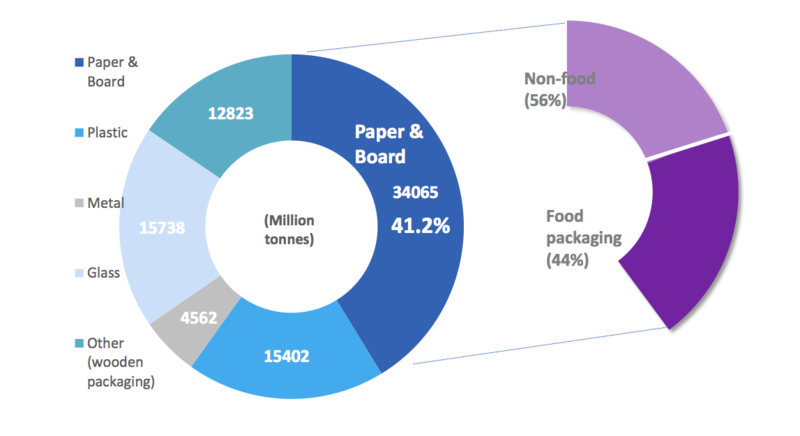 Food packaging paper and board: 13.8 million tonnes (44%) – source: Eurostat 2017. Jori Ringman, deputy director general and sustainability director of CEPIexplained to the congress the objectives on which the paper industry in Europe is working. “First of all, it is necessary to ensure that companies have equal access to the market, that there is the opportunity to reduce compliance costs, managing to also reduce testing costs, and that, in the event of selling outside the European Union, there are no differences with regard to the standards required in markets outside Europe. Furthermore, it is important to create customer confidence, whilst safeguarding the company reputation and ensuring they are on a level playing field with their competitors”. What we want to get, said Ringman, is one unique standard, so that what is manufactured in one country can be sold, with the same characteristics, throughout Europe. From these needs, which the paper world has been talking about for some time, came about the requirement to create, in 2010, the first industrial guidelines to explain what the paper industry should do, and what it should ensure it has, in order to comply with European requirements in relation to food contact. “It is a manual for paper and cardboard manufacturers which gives specific advice on requirements to comply with Regulation EC 1935/2004 which applies to all materials and articles intended to come into contact with food”. Unlike other packaging materials, in fact, the European Commission up until now has not proposed a measure which covers paper and cardboard materials and there is no specific regulation in relation to them; consequently neither is there a method which shows compliance of the manufacturers to European Union laws. For this reason, explains Ringman, “the paper industry has considered it necessary to draw up sector guidelines so as to ensure a standard appropriate for their own characteristics, and to be able to undertake actions in line with scientific developments”. Although the paper sector has a long history of safe application in the food industry and can boast products which come from renewable sources and permit recycling at the end of their lives, it is always being presented with new challenges and it is important that it is ready to improve its own approaches and manufacturing methodologies. The benefit of the guidelines is explicit, therefore, in many aspects, first of all “it is aimed specifically at the particular requirements of the paper industry; it is a dynamic document which can be quickly modified in line with scientific progress and focuses on practical implementation and on tests to be carried out on final products; furthermore it is voluntary and can be used for purposes of self-certification”. But above all, emphasises the deputy director of CEPI, “for the first time it collects together in just one document all the elements which allow and facilitate compliance with European Union lawand this enables the industry to be prepared for the moment when the Commission decides to legislate regarding paper and cardboard”. A well-structured document which, stresses Ringman, has also received the approval of Pira International, today Smithers-Pira www.smitherspira.com, an independent authority recognised throughout the world. According to the authority, which, at the request of CEPI, has carried out a peer review, “the industry guideline offers a good model to demonstrate compliance with the requirements of the Framework and GMP Regulations”. The guidelines, as stated, were drawn up for the first time in 2010, “since then many things have changed and we have moved forward”, continues Ringman. “Paper and cardboard manufacturers today want to meet the highest standards, whilst the market requirements have not changed; they continue to need safe products and compliance with regulations. And at the same time, unfortunately, neither has there been any change in the fact that there are still no single laws or regulations drawn up by the European Union”. After a first revision of the guidelines which took place in 2012, a second revision was therefore done in 2018. Today the document is divided into ten parts which roughly cover all the elements which must be considered from the point of view of paper manufacturing of materials in contact with food and everything related to this concept. 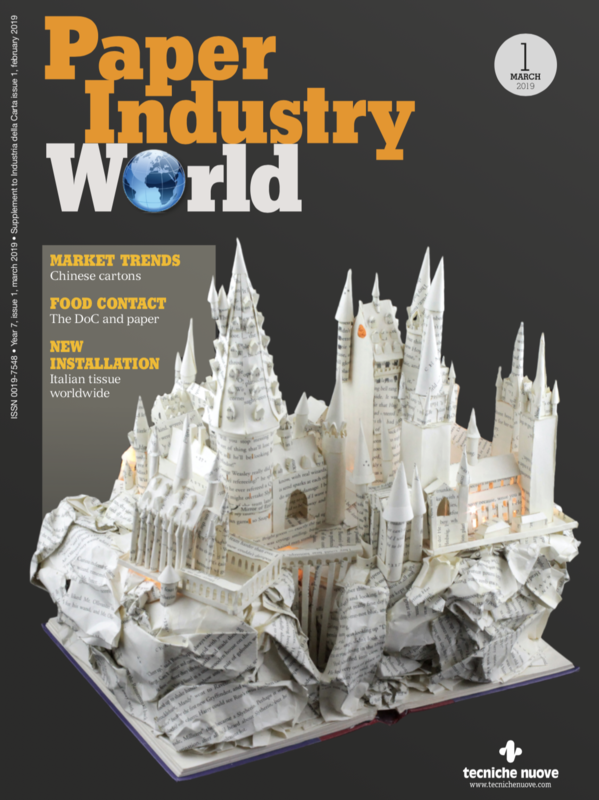 “We have taken a great step forward with the new version; a step forward which was needed and which allows the paper industry to really respond to the challenges facing it”. Challenges which involve the whole industry, alongside CEPI, says, in fact, Ringman. This time the following have also contributed: ETS (European Tissue Symposium) https://europeantissue.com, taking part for the first time, CITPA (International Confederation of Paper and Board Converters) www.citpa-europe.org, FEFCO (European Corrugated Packaging Association) www.fefco.org, ECMA (European Carton Makers Association) www.ecma.org, CEPI Eurokraft (European producers of kraft paper and sack kraft paper) www.cepi-eurokraft.org and ACE (Alliance for Beverage Cartons and the Environment) www.ace.be. “It has been a joint working to find an agreement on requirements which are essential for the whole sector”. So, what still needs to be done, and what will the future actions be? The path that leads to legislation – which remains the sector’s true objective – is still long. “In order to have, as already stated, a Europe with one unique set of regulations which can be applied everywhere, the first step is to complete the second revision of the industry guidelines”, continues the director. After the consultation phase with the three organisations involved – ended on 15 June – the next one will be to revise the contents based on the comments received, and to send the document to an independent authority for review. Therefore there will be a finishing off phase and the presentation, in September, to the CEPI Board and the respective bodies of the associations taking part for approval. The objective of the association is to manage to publish it and disseminate it towards the end of the year. “We are also planning to have surveys to monitor feedback which will come from the industry, in order to understand any difficulties the actors in the sector might meet in the application of the guidelines and if the new version must be reconsidered in some aspect”. Another question considered is regarding the existing gap at European level between the standards of the various systems. For this reason CEPI signed an agreement with UNI, the Italian standard-setting body, www.uni.com: “We have organised workshops so as to understand what the legislative needs are in order to continue to raise the bar of our industry and have the opportunity to create better standards. Once the mapping of needs has been obtained, we shall have a revision phase in order to prepare further standards at European level” and the involvement of the CEN (European Committee for Standardization) www.cen.eu. A new phase could begin in 2019, after the European elections, after which the European Commission can be contacted and an assessment made on whether further regulations will be necessary for paper and cardboard. The idea, concludes Ringman, is to carry out an evaluation after each phase “to establish the need to continue or whether what will have been achieved at that point is sufficient. As a paper industry we are certainly raising the bar and we are very close to the results which we want to obtain”. 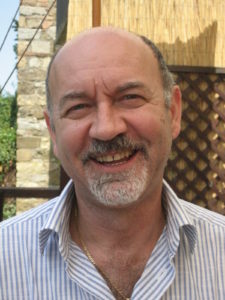 Eugenio Cavallini, technical manager at CEPI consultant at Ecol Studio www.ecolstudio.com and moderator of the session of the Aticelca Congress 2018 dedicated to Food contact, responded to some of our questions, explaining the genesis of the revision of the industry guidelines for paper and cardboard in contact with food presented by Jori Ringman. The choice of how to proceed with the revision of the document came about from a broader assessment. Without prejudice, explains Cavallini, the ever present requirements to manage to regulate such a sensitive sector for the paper world, “our proposal for an approach to standardisation of the regulations regarding paper and cardboard consisted of three documents: a very concise regulation, specifically for paper materials – perhaps with the simpler choice of referring to Reg. (EC) 1935/04 – and two other documents which explain how to comply with this regulation and to the GMP (good manufacturing practices) quoted in Regulation (EC) 2023/2006”, an approach which it was then decided to modify following some choices made in Europe. In fact, it happened that “the Council of Europe had started to work on a framework resolution for FCM (food contact materials) and a technical guide for paper and cardboard in contact with food, the reason for which, frankly, we cannot understand since, apart from a few countries – such as Switzerland – which are in the Council of Europe but not in the European Union, all the other countries belong to both institutions and are, therefore, already subject to the legislative and regulatory obligations of compliance to Reg. framework 1935/04”. It is not clear, therefore, why there was a need for such documents to be drafted, especially, explains Cavallini, if you consider that, as instruments of the Council of Europe, they can be adopted or not by the member states. “We are therefore very critical of this activity”, he declares. “And we are also critical of the fact that the Council of Europe, in spite of its own declared mission, which should see it committed to cooperating and working with interested parties and associations, in reality it is working without having any type of consultation or discussion with the industry or other stakeholders”. Another sensitive question which is being discussed in Europe is regarding the approach to p-FCM (printed food contact materials), with respect to which the problem also arises of the lack of clarity in relation to which products will be affected, namely if it will concern only the inks or else the inks along with the material they are printed on “in relation to the technological aspects involved such as, for example, the impossibility of going back to the source of any contamination, printed material – ink layer, in the event in which this latter is inseparable from the under layer, as in the case of paper”. In any case, at the moment, explains Cavallini, this approach has not been formalised by the DG Health – the Directorate-General responsible for the European Commission’s policies regarding health and food safety. That means that the Commission has no official approach, but only ideas which leave people perplexed. Amongst these also is the one regarding the possible institution of third party certifiers, defined as “designated bodies”, appointed by the member states, to whom would fall the task of certifying the risk assessment; “that means that self-certification of the industry will be envisaged, but only if certified by a third party figure appointed by the national authorities”. A position which thus ends up coming into conflict with the regulation of the matter at a European level towards which the sector is working and which “risks, amongst other things, making the application of this measure fall into the vicious circle of the lack of practical application of the principle of the mutual recognition of the regulations. Like CEPI, we will prepare a position paper to state that we are not in agreement with what has been proposed in relation to the p-FCM”. So leaving this general situation aside, continues Cavallini, “we have thought to take a step back and consider the two documents in support of regulatory compliance, of which we have spoken, simply as an update of what has been written in the industry guidelines. However, it is a significant update, both because it is being presented almost ten years after the first writing, and because in the group formed by the various associations which have collaborated at industry level, this time taking part are also representatives of tissue, bringing a significant contribution which has improved the document. The documents which were the basis of our standardisation proposal have therefore become documents to adopt voluntarily – Industry guidelines and GMP – and in the meantime we are working towards the individual chapters of the guidelines becoming the standards, involving CEN and UNI, so that they can be more easily introduced also at regulatory level. We have decided to draft a workshop agreement which will prepare a working proposal to create them and which will become the track along which all the groups working to individual standards will have to move. For us, having standardisation for paper and cardboard materials in contact with food is, and still remains, strategic,” concludes Cavallini, “we are not giving up on it, simply postponing it. Next year, in fact, there will be voting for the European elections, and when the European Commission starts to be really operative even the various approaches politically will have changed and, at that point, it will be possible to understand how to move and resume promotion activity”.